YoWindow is a full featured weather forecast app with beautiful graphics that shows the weather forecast for any location you choose. Instead of displaying data as a desktop notification, YoWindow delivers weather data in what may be the most fun interface you’ve ever seen. You see the picture instead of bare weather data. The background living landscape will reflect the current conditions. The sun rises and sets just as it does in real time, and precipitation and other weather phenomena are depicted with animations. You can see actual cloud cover, rain, grass swaying with the wind, fog, even thunderstorms. YoWindow also moves in time. The seasons change in sync with nature. Animated landscapes include Village, Seaside, Airport, Oriental themes, plus more than 1,400 picture-based landscapes. A full-featured weather station includes lots of information and even a few fun surprises. The weather picture is easy to get and easy to remember, opposed to weather reports. Watch the weather at any moment you wish. The picture is built on top of the real data – weather, sun-light, season, astronomical calculations. Every weather parameter you need is available for display: temperature, wind speed and direction, pressure, humidity, etc. 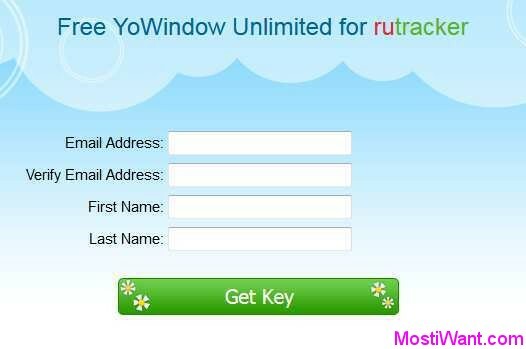 How to get Free Serial License Key for YoWindow 4 Unlimited Edition ? YoWindow come with a free Edition, but the free Edition limits users to a three-day forecast and only 1 animated landscapes (Village). The site also notes that in the future, the free version may carry advertising, though it currently does not. The unlimited edition allows you to add/change a infinite number of cities and see the weather forecast of the next 6-9 days. Normally YoWindow unlimited edition costs $19.18 to purchase, but now, thanks to a giveaway offer, you can get a free serial license key for YoWindow 4 unlimited edition for PC&Mac. 1. Visit the giveaway page here: Link 1 | Link 2 | Link 3, enter your email address and name, then click on the “Get Key” button. 2. Soon you will receive an email from “[email protected]” containing your free license key for YoWindow Unlimited. 3. Download YoWindow Unlimited 4.0 (Windows & Mac) and use the received serial License Key to activate the unlimited version. Go to Main Menu and select Help and then Register…The License Registration window will be displayed. Enter the license-key. Tip: copy the license-key and paste it inside YoWindow. Use Ctrl-V to paste. Updated: This is not a new promo but lasts for a long time. 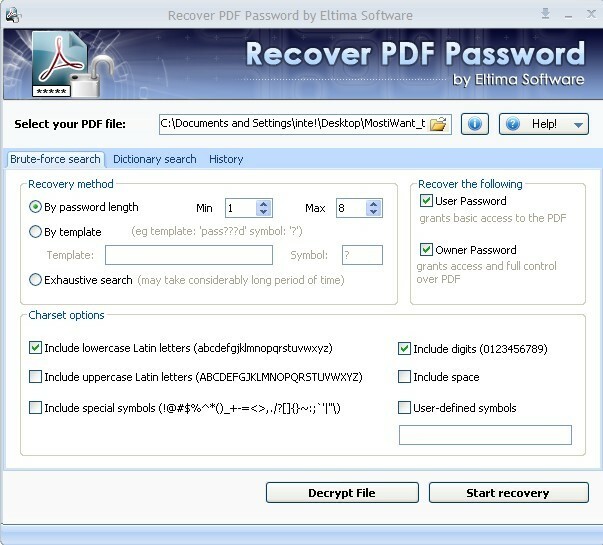 It is still working even for the latest version and many of you may need it. I change the date published for this post to make it up. Enjoy this full featured weather forecast app. Another great find William. Your finds never cease to amaze me. Thanks my friend. 2 Go to Main Menu and select Help and then Register…The License Registration window will be displayed. 3 Enter the license-key got from here: http://yowindow.com/giveaway_special_for_giveaway_of_the_day.php. Tip: copy the license-key and paste it inside YoWindow. Use Ctrl-V to paste. Works nicely. Lot options. Got email & serial/download right away. After asking BDJ in my personal account to RESEN the EMAIL I got a KEY ! This is a FAKE deal ! There is NO registration key in the mailing! 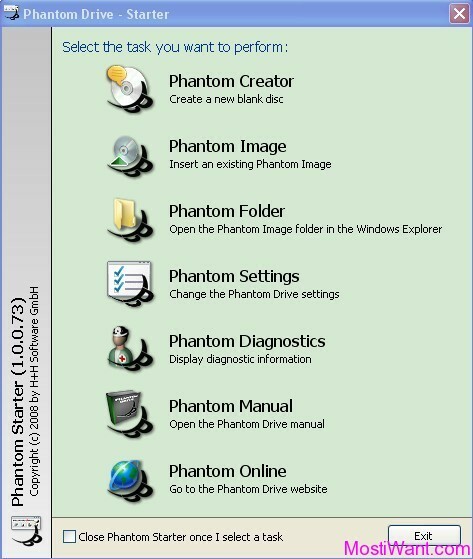 william i will try that serials … give me.. and watch on the internet and inform about cyberghost vpn give away.. steganos is useless ..contains malware reported by norton. i believe norton doesnt show any false malware report. its low risk .but i am not ready to take any risk. Dear Shine, I have sent the serial to your email. Please check for it. sharemore … i have tried that hours before u r post on mostiwant …. its useless.. cyberghost have no serials left for tweakbytes. i am really depressed. Dear SHINE, sorry for the delayed response. According to the [email protected], they will have a few more serials mostly. I also have a serial number for this vpn. But it was applied 3 months ago and I do not known if it can still be activated. Would you like to give it a try? In addition, you can get Steganos Online Shield 365 Free 5 GB Traffic Volume for 6 Months or OkayFreedom VPN Free 5 GB Traffic Volume for 6 Months. March 2nd 2013 the code still works. impa the code is good thanks !!! THANKS IMPA!!!!! YOUR SERIAL WORK VERY GOOD!!!!! The free version can be used at least. @nathan.nitz: Thanks for your feedback. The coupon code is expired now.